Once you are at Google Analytics, proceed to the sections titled Behaviour and Site Content that will highlight some of the crucial site visit parameters viz. page views, unique page views, time spent on page, bounce rates, even page exits. The analytics can make you understand what your visitors were looking out for on your site. As Andy Crestodina of Content Marketing Institute states, it is essential to know what and which and type of content is preferred by the visitors to your site. And you need to narrow down the gap between the two and make your website deliver a well optimized performance. Craig Sullivan is of the opinion that a conversion report displaying the browser and device split works out well for his analysis. Look out for browser related issues such as display issue, and if your website does not work well in any of the preferred browsers, you know what you need to do next. Another key parameter is to filter through the traffic demographics and analyze. The data could reveal change in preferences on account of changes in age group, habit preferences, etc. This could be the reason why the traffic is not getting converted. Also, look out from which url, they are exiting from your website – landing page, product page, half filled shopping cart and so on. Once these critical issues are identified and resolved, your website could be performing just great. Tim Ash believes in delving into niche areas of the Google Analytics report and uncover insights that offer subtle hints on how to optimize the as per behavioral preferences. Here, you can figure out whether there is user experience flaw or the visitor gets disinterested in case of site loading issues across the mobile platform. Another report of great help could be conversion reports that include indexes of first and assisted and multi channel conversion. These reports are available by default and display in depth data related to behaviour, acquisition and even conversion, side by side. As Judah Phillips has noted that last click metrics are displayed as default in Google Analytics but in most cases, conversions could have happened at the top of the funnel or the bottom of the funnel. He opines that affiliate traffic will be registered at the bottom of the funnel while display advertising will be highlighted at the top of the funnel. Along with this data, analytic experts need to correlate the liner conversion metrics within the multichannel approach when evaluating a media plan. As a website owner, your aim should be to offer a responsive site that connects better with its visitors especially within the emerging landscapes. And, its performance within the social media network, if integrated. Also, you need to not only create compelling content but have a content calendar that helps you to stay on track to promote and share content on regular basis. 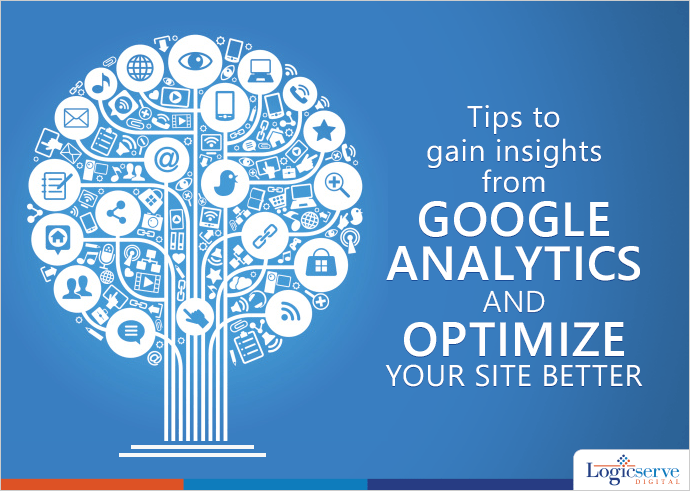 Google Analytics Data does provide sufficient insights on how to optimize websites and make them perform optimally. A few clicks and you have at hand, multi faceted data which has to be carefully evaluated and analyzed to gain insights that enhance your website performance in the desired manner. Ensure that your website looks well maintained and updated always. Improve your website’s performance through Google Analytics that offers a varied range of reports. Seeking insights from these reports is extremely crucial for site improvements and enhancing its efficiency quotient does rely on them. Which Audience Lists to Use for Your Marketing Campaigns?